10-15-12 A Day. 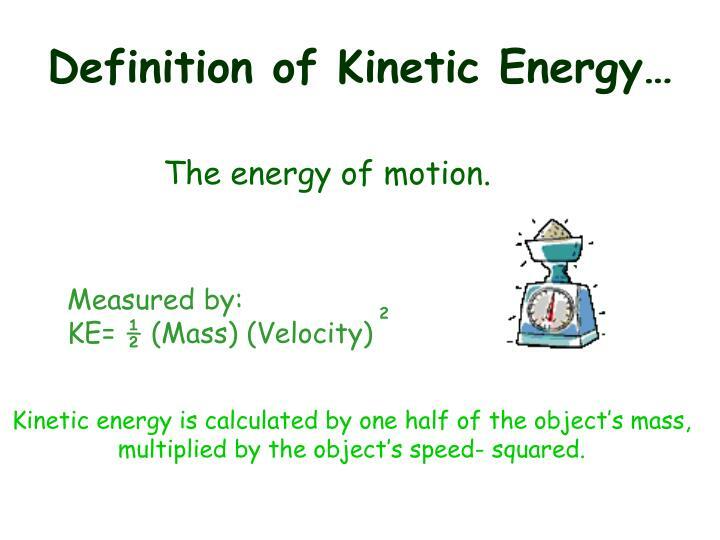 OBJECTIVE: Students will define and identify kinetic and potential energy. 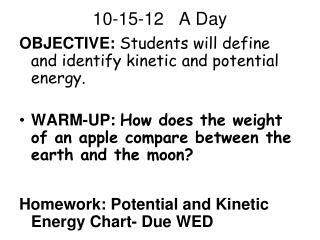 WARM-UP: How does the weight of an apple compare between the earth and the moon? 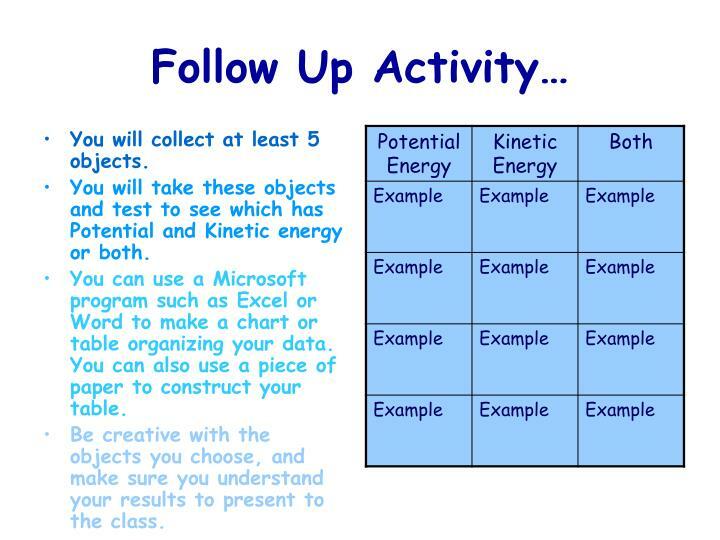 Homework: Potential and Kinetic Energy Chart- Due WED. 10-15-12. 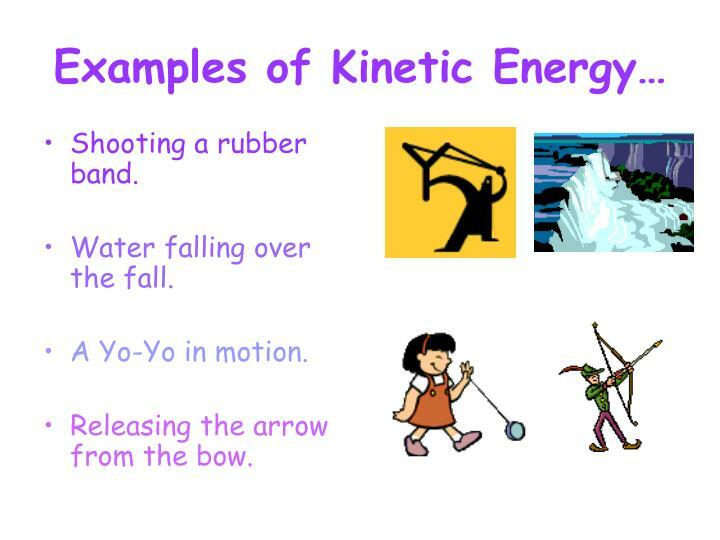 OBJECTIVE: Students will define and identify kinetic and potential energy. WARM-UP: How does the weight of an apple compare between the earth and the moon? 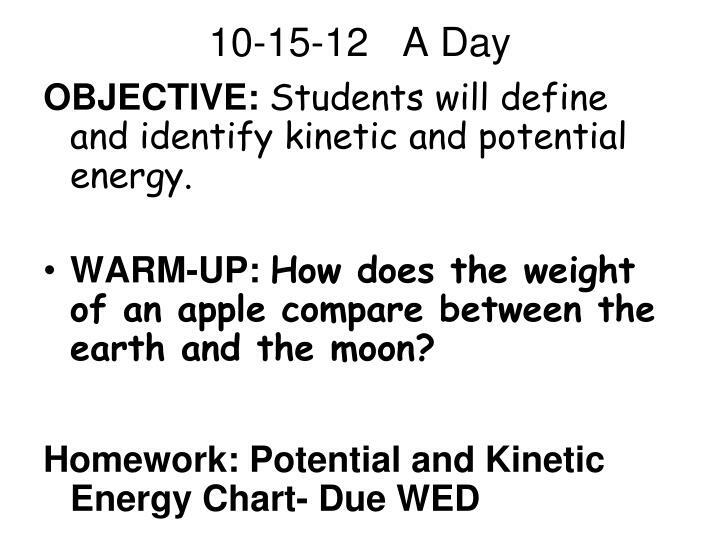 WARM-UP Question: How does the weight of an apple compare between the earth and the moon? Identify where the apple will have less weight. Explain your response. 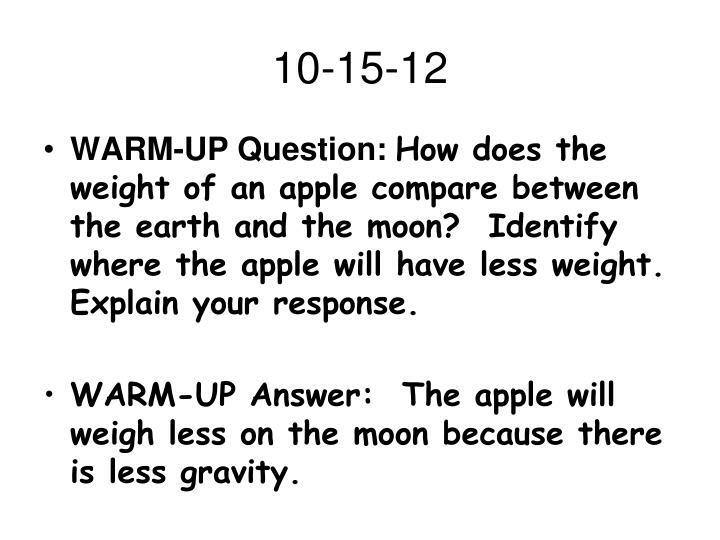 WARM-UP Answer: The apple will weigh less on the moon because there is less gravity. 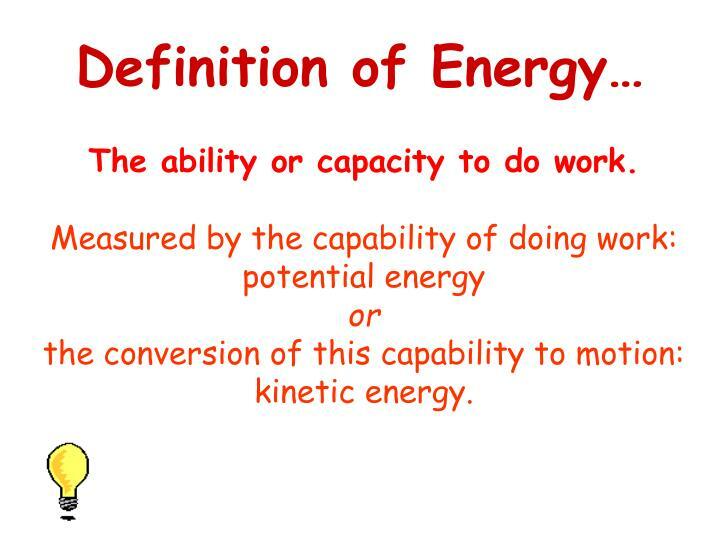 The ability or capacity to do work. 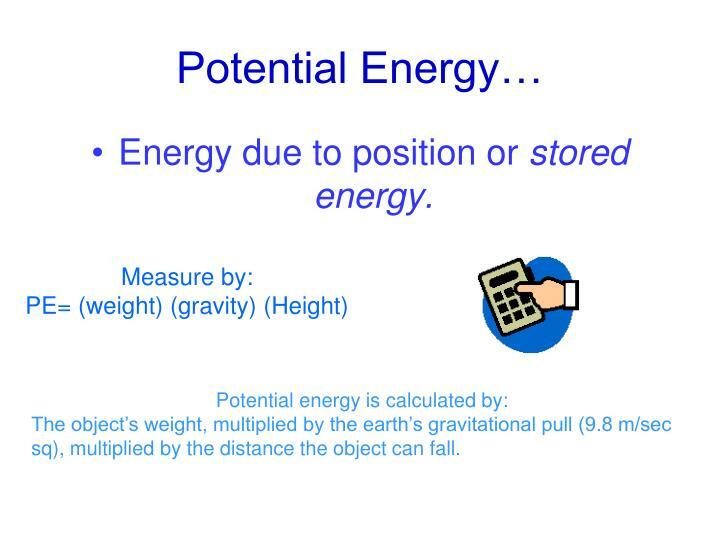 Energy due to position or stored energy. The object’s weight, multiplied by the earth’s gravitational pull (9.8 m/sec sq), multiplied by the distance the object can fall. Water at the top of a waterfall..
Yo–Yo held in your hand.. 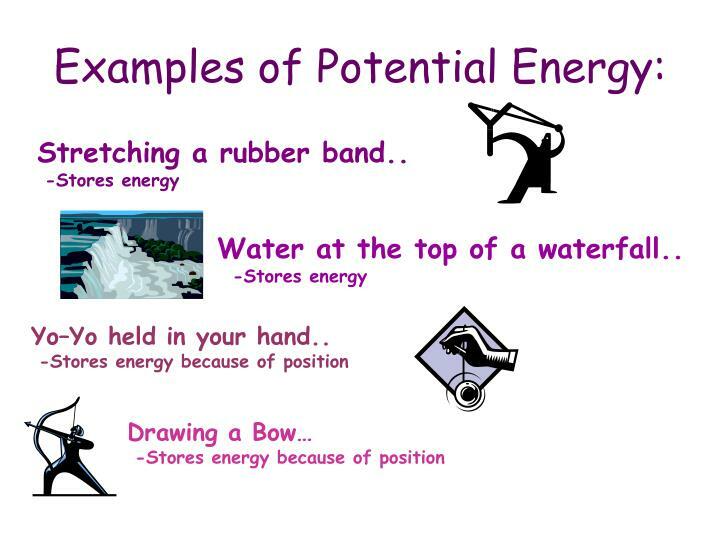 When the position of an object is altered it, creates Potential Energy. 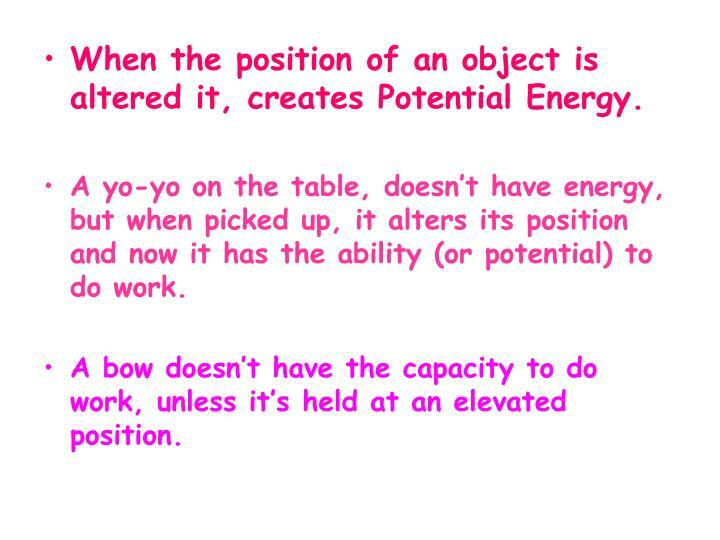 A yo-yo on the table, doesn’t have energy, but when picked up, it alters its position and now it has the ability (or potential) to do work. A bow doesn’t have the capacity to do work, unless it’s held at an elevated position. 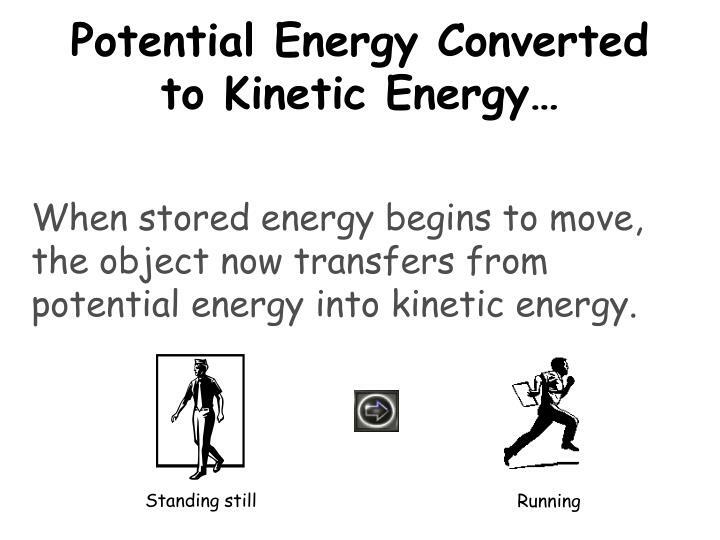 When stored energy begins to move, the object now transfers from potential energy into kinetic energy. multiplied by the object’s speed- squared. Water falling over the fall. Releasing the arrow from the bow. Summary of What You’ve Learned..
Holding a coin in you hand, alters the coins original position. 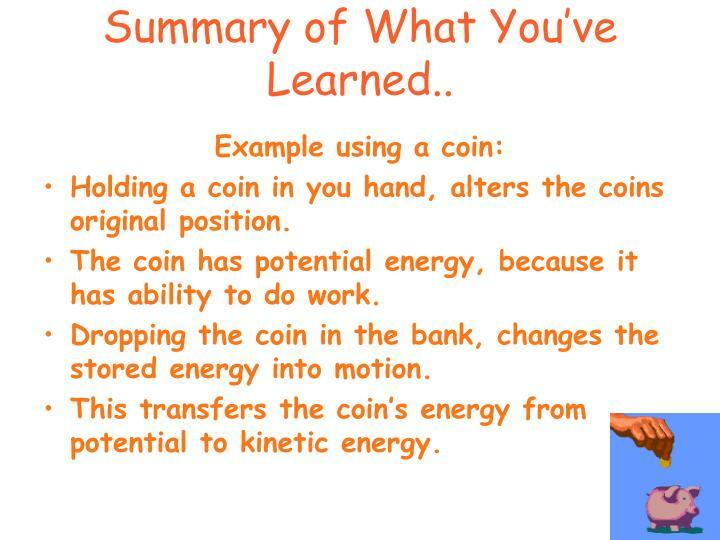 The coin has potential energy, because it has ability to do work. Dropping the coin in the bank, changes the stored energy into motion. This transfers the coin’s energy from potential to kinetic energy. You will collect at least 5 objects. 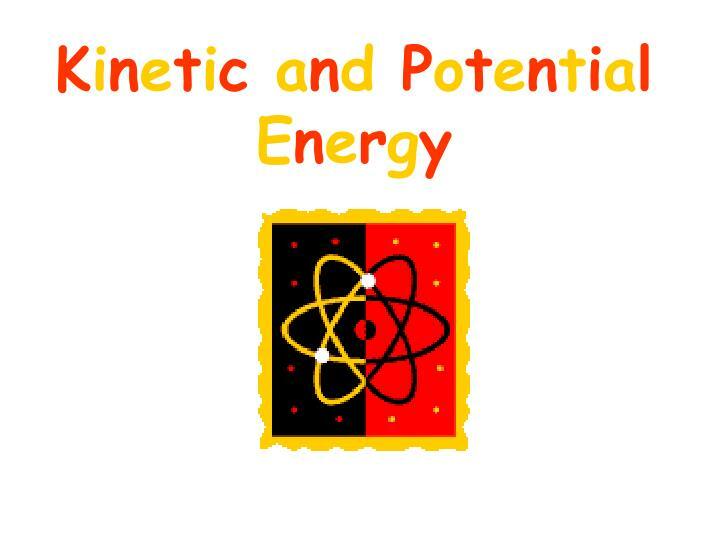 You will take these objects and test to see which has Potential and Kinetic energy or both. You can use a Microsoft program such as Excel or Word to make a chart or table organizing your data. You can also use a piece of paper to construct your table. Be creative with the objects you choose, and make sure you understand your results to present to the class.